Lock in a great price for Click&Booking SalouMed Apartamentos – rated 10 by recent guests! 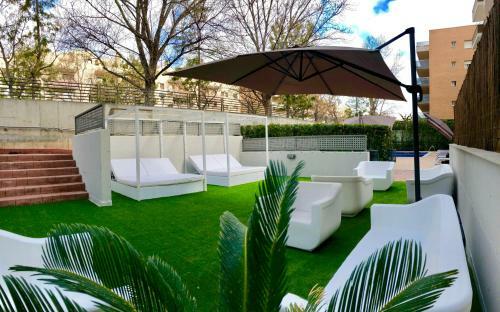 One of our top picks in Salou – and a guest favorite. These bright, modern apartments have 2 bedrooms and bathrooms, a terrace and a washing machine, oven and microwave in the kitchen. The complex offers a swimming pool, open in summer . 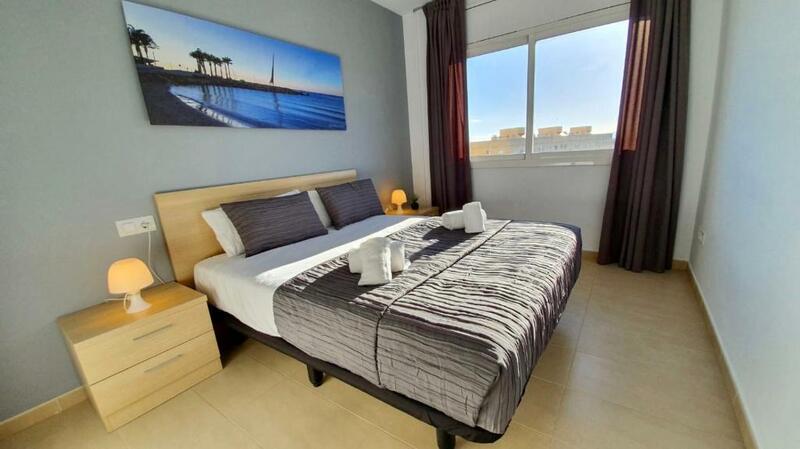 Salou Mediterrani is located in a quiet area of Salou, less than 2,300 feet from the beaches of the Costa Daurada. 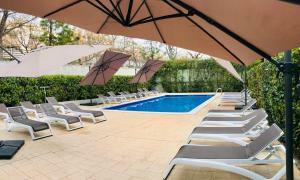 Salou Mediterrani’s swimming pool opens from May until October and is surrounded by a sun terrace and gardens. PortAventura is around 0.9 mi from the complex, and Reus Airport is within 5.6 mi. Transfers can be arranged from the airport or bus and train stations. When would you like to stay at Click&Booking SalouMed Apartamentos? This apartment has a twin bedroom, a double bedroom and a living room with a sofa bed and a balcony. There is also a kitchen and 2 bathrooms. 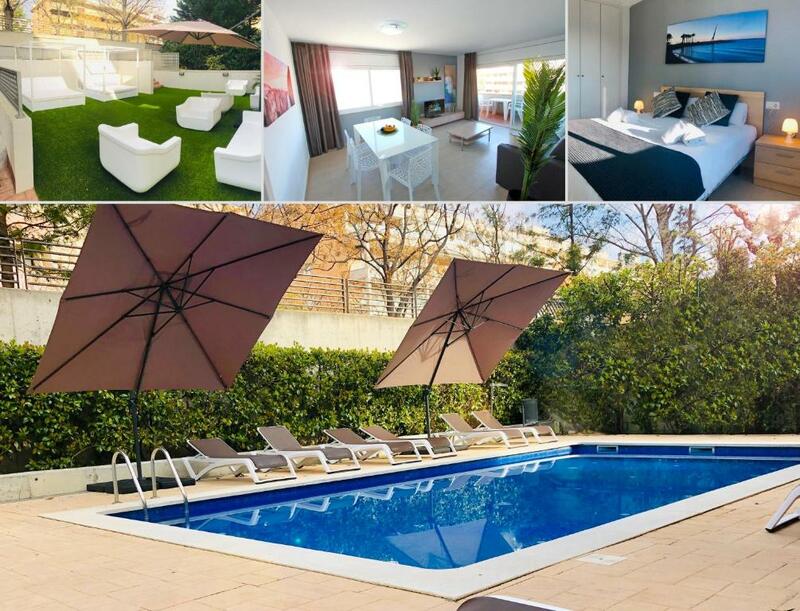 Our newly built SalouMed Apartments in Salou boast modern facilities to ensure that families and groups of friends have the best time in one of the most exclusive and best located areas on the Costa Daurada. 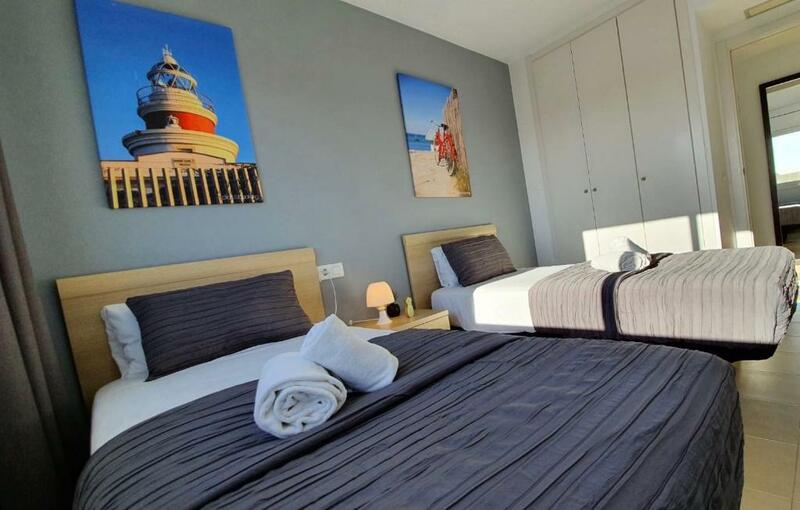 SalouMed Apartments has everything you need for an unforgettable stay, where you will feel right at home. Unrivalled services and facilities are exactly what you need to enjoy a perfect holiday in Salou. Our apartments come with an elegant design, modern, luminous and perfectly equipped with new furniture.. Living-dining room. Bathrooms with walk-in shower. fully-equipped kitchen. Necessary appliances. Furnished terrace. Maxium capacity up to 6 people. SalouMed is located halfway between the beach and the center of Salou. 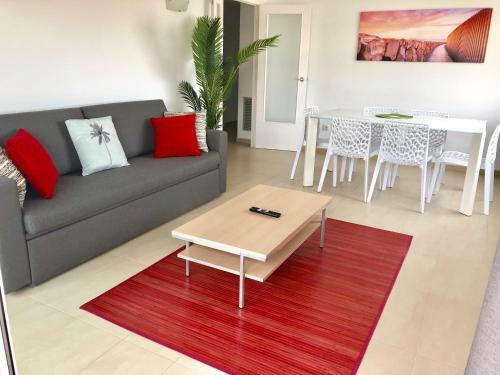 House Rules Click&Booking SalouMed Apartamentos takes special requests – add in the next step! Click&amp;Booking SalouMed Apartamentos accepts these cards and reserves the right to temporarily hold an amount prior to arrival. Click&Booking SalouMed Apartamentos accepts these cards and reserves the right to temporarily hold an amount prior to arrival. Please inform Click&Booking SalouMed Apartamentos of your expected arrival time in advance. You can use the Special Requests box when booking, or contact the property directly using the contact details in your confirmation.